Finally! 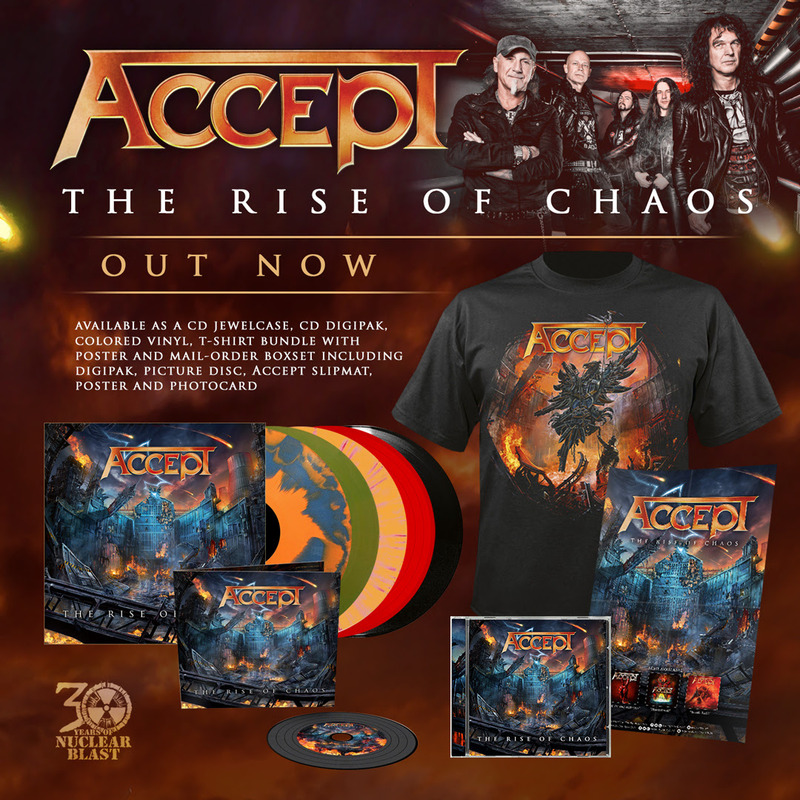 Today, heavy metal pioneers ACCEPT are back in the game with a new studio album – the record entitled The Rise Of Chaos is out today! The band’s 4th studio release through Nuclear Blast continues the tradition of its three predecessors – Blood Of The Nations, Stalingrad, and Blind Rage – with grandeur and precision.